Is there a better alternative to Escape from Frankenstein's Castle? Is Escape from Frankenstein's Castle really the best app in Adventure category? Will Escape from Frankenstein's Castle work good on macOS 10.13.4? Escape from Frankenstein's Castle...Injured in a car crash with her fiancé Horatio, Hannah wakes up alone and finds herself trapped in Dr. Frankenstein's castle. Horatio's missing. Help Hannah as she interacts with the castle's suspicious inhabitants, discovers clues about the doctor's master plan, and completes puzzles to find an Escape from Frankenstein's Castle. 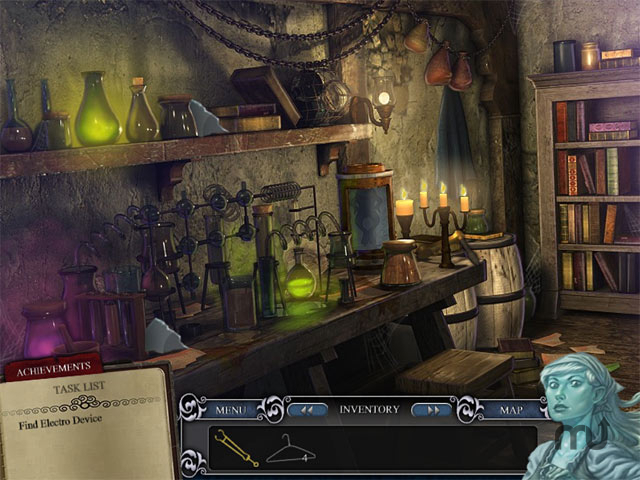 Dive into this Hidden Object Puzzle Adventure game and save Hannah and Horatio! Escape from Frankenstein's Castle needs a review. Be the first to review this app and get the discussion started! Escape from Frankenstein's Castle needs a rating. Be the first to rate this app and get the discussion started!